Welcome! We'd love to show you around. Discover all the benefits and features that PayPal has to offer. Synonymous with security and accepted at thousands of websites and apps wordlwide. 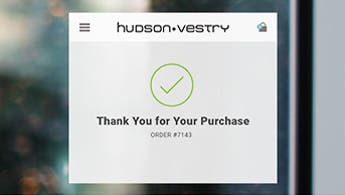 Buy direct from your computer, mobile phone or tablet. No need to expose your credit card info or fill out lots of forms. Just log in with your email address and password to complete your purchase. Your order is complete! No need to worry about your purchase. If an eligible item doesn’t arrive, Buyer Protection covers you. Make purchases, transfer money and pay bills faster—without typing in your account numbers every single time. So you can put down your device and get back to doing the things you love. Want to turn fast into faster? Activate One TouchTM to stay logged in to PayPal from any device for up to 6 months, and breeze through check out at the touch of a button. Shop with confidence at your favorite stores, and millions more worldwide. With more than 500 million items, eBay is one of the largest virtual malls in the world – and is open or those who have PayPal account! If an item that you’ve purchased online with PayPal doesn’t arrive or doesn’t match the seller’s description, we'll look into it. If something is wrong, our Buyer Protection will reimburse you for the full purchase price plus shipping costs. Love earning those points, miles, and cash back every time you pay with plastic? Just link your card to your account and you can keep earning those rewards. PayPal is a online payment method that follows you wherever you go. Pay any way you want. 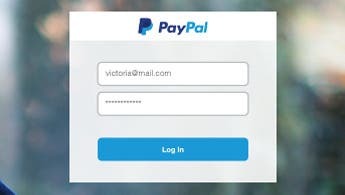 Link your credit cards to your PayPal Digital wallet, and when you want to pay, simply log in with your username and password and pick which one you want to use. Why should I use PayPal? Using PayPal is fast, simple, and secure. We will help you pay in just a few clicks. Enter your email address and password, and you’re pretty much done! There’s no need to run around searching for your wallet. Better yet, you don’t need to type in your financial details again and again when making a purchase online. We make it simple for you to pay with just your email address and password. PayPal is the safer way to pay because we keep your financial information private. It isn’t shared with anyone else when you shop, so you don't have to worry about paying businesses and people you don't know. On top of that, we've got your back. If your eligible purchase doesn’t arrive or doesn’t match its description, we will refund you the full purchase price plus shipping costs with PayPal's Buyer Protection program. Where can I use PayPal? There are millions of places you can use PayPal worldwide. Additionally, you can send funds internationally to anyone almost anywhere in the world with PayPal. All you need is their email address. Sending payments abroad has never been easier. Do I need a balance in my account to use it? You do not need to have any balance in your account to use PayPal. Similar to a physical wallet, when you are making a purchase, you can choose to pay for your items with any of the credit cards that are attached to your account. There is no need to pre-fund your account. Can I still collect rewards points on my credit card? If you link a rewards credit card to your PayPal account, you can continue to collect your points with every purchase. How much does it cost to use PayPal? 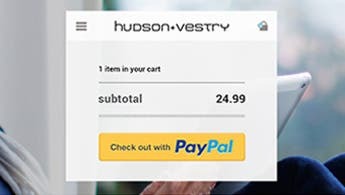 Buying with PayPal is usually free. There is no charge to open a PayPal account and there is no cost for buying products or services. If your transaction requires a currency conversion, we will use a retail exchange rate (the wholesale cost of foreign currency as denominated by an outside financial institution) plus a conversion service charge. Read more about currency conversion and merchant fees here. You can add more than one card to your PayPal account but, for your security, a card can only link to one PayPal account at a time. To add your card, sign into your PayPal account. Go to Profile and click Add/Edit Credit Card. Select the card type, enter the required details and click Save. You're all done! Where I can go for additional help or questions? You can find answers to commonly asked questions at the PayPal Help Center. If you cannot find your answer, our Customer Support team is ready to help. You can email our team here. How can I recover my password or username? If you are having issues signing into your account because you forgot your username or password, we can help you recover this information here. Can I use my bank account to fund my PayPal purchases? Yes, you can fund your PayPal account by transferring funds from your bank checking or RUT account. Find out more information on how to link your bank account.